At Kevin Sorge, DDS, we look forward to meeting you and doing everything possible to make your first visit with us easy and beneficial. A healthy, confident smile is important to your health and well‐being. Our team is dedicated to the prevention of dental disease. Most importantly, our goal is to listen to you. 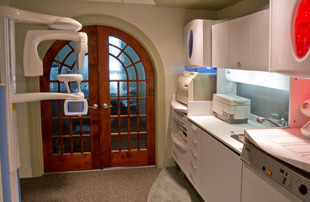 We continually make improvements to our office to provide high‐quality modern dental care in a comfortable environment while minimizing discomfort. Our hygiene team makes preventive care our number one priority. Save time by filling out your patient forms now. Click on form to download. It’s always a good idea to arrive a few minutes early just in case you have questions. This also gives you an opportunity to get acquainted with us. You will also be expected to complete an initial questionnaire so we can learn more about your dental and overall health. During your first visit, we will perform a thorough, comprehensive exam. This appointment will include full photography of your mouth and a thorough diagnostic exam to evaluate your oral health and jaw health. Emergencies are seen promptly in our office. If you have an emergency or are experiencing dental pain during office hours, please contact us. Now a Participating Provider with Excellus.